If you want to place an order, just call our hotline 6100 8800. Prices are subject to 7% GST. All are welcome to drive up to our showroom (3rd Level). Feel free to call us for an no obligation quotation. Subject to 7% GST. Local Dealers / Overseas enquires are welcome ! 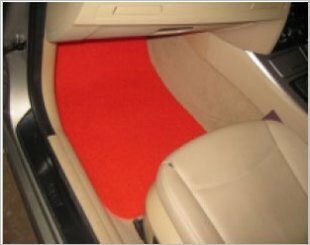 3A car mats are an average of 15mm thick, which is thicker than more other brands in the market. Their main function is that it traps dirt, and does not require frequent cleaning. There are 10 different colours to choose from. These mats are also available for the boot. Personalised labels or wordings are also available for embossing onto the mats. I am interested in the "3A Car Mat". This product is suitable for Volvo C30.